Located at No. 106 in the main shopping area of Hang Bong (Cotton) Street, in the centre of the historic Old Quarter of Hanoi, the hotel stands out from the others with its grand façade, the superb pillar structure of the lobby lounge, finished in marble and granite. Retreat from the daily hustle and bustle of Hanoi, indulge yourself in the exclusive tranquility and luxury of your stay at our Hanoi City Palace hotel where all your needs are met. 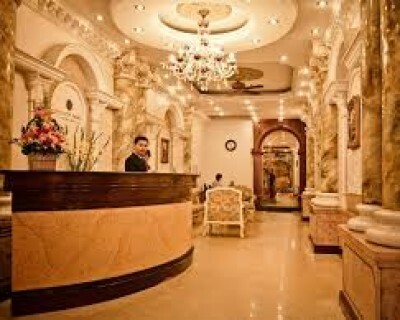 Welcome to our hotel and have a pleasant stay!